Coppell High School sophomore goaltender Romy Thibeault helps Junior Rookies at Dr Pepper StarCenter in Farmers Branch on Nov. 13. Thibeault works at the Dr. Pepper StarCenter where she coaches the Junior Rookies, a group of both boys and girls ages 9-14, bringing her signature personality to the rink. It started with a toddler’s size seven pair of skates which had been worn by her two older brothers. When 2-year-old Romy Thibeault pushed off for the first time on the ice, she also pushed off into what would become the object of her infatuation: hockey. The years passed and Thibeault immersed herself in all areas of the sport. 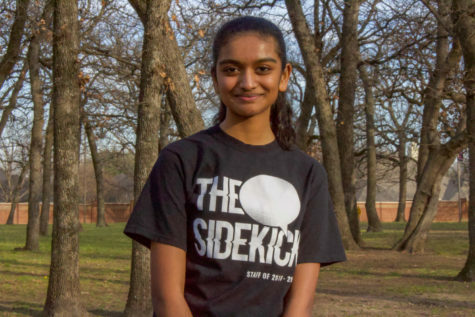 Now a sophomore at Coppell High School, she referees, coaches and plays goalie simultaneously. Thibeault is not the first in her family to play hockey. Her father, Jason Thibeault, grew up playing hockey and continued throughout college at the University of California, Irvine before coaching children for 15 years in California and Arizona. Her brothers, 22-year-old Quinn and 19-year-old Liam Thibeault, were both hockey players. After learning how to skate, it was only natural that Romy would want to try the sport, which she did at age 5. 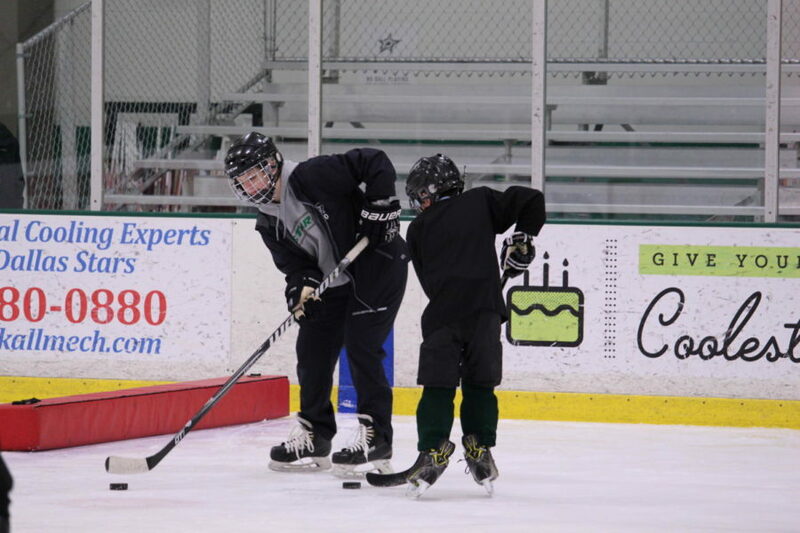 Romy took a break from hockey at age 7 but went back to the sport five months later. Now playing as a goalie, Romy was able to develop a skill set and find her place on the team as the last line of defense. Romy plays on the CHS varsity hockey team and the Tier 1 Girls U16 Dallas Stars Elite team. When she was 12, Romy was introduced to refereeing. Living in Arizona at the time, her mother signed her up for a refereeing seminar where her interest was sparked. She now works for the Texas Amateur Hockey Association (TAHA) and travels around DFW refereeing children’s games. As a female referee, the opportunities are massive for Romy. There is a disproportionate number of women in hockey compared to men and that proves the same with refereeing. Because of this, there are multiple opportunities for girls like Romy, including international jobs. “It’s crazy, you’re exploring the world while doing something that you love,” Romy said. During the summer after her freshman year, Romy decided she would expand her horizons even further and enter the world of coaching. 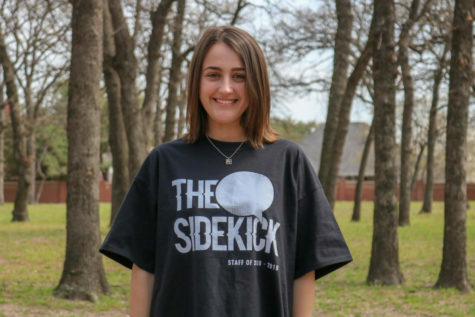 She currently works at the Dr Pepper StarCenter in Farmers Branch where she coaches the Junior Rookies, a group of both boys and girls ages 9-14, bringing her signature personality to the rink. Having experience in playing, refereeing and coaching all provide Romy a unique perspective on the game. The things she learns in each area are valuable to the other areas. She becomes a better player, referee and coach. In the future, she hopes to play hockey throughout college, travel internationally through refereeing and coach for as long as she can.